When it comes to being basic, there is one Instagram account you can count on. From pumpkin spice lattes to flower headbands, Skellie is the only social media influencer that you need to follow to get your daily dose of basicness. 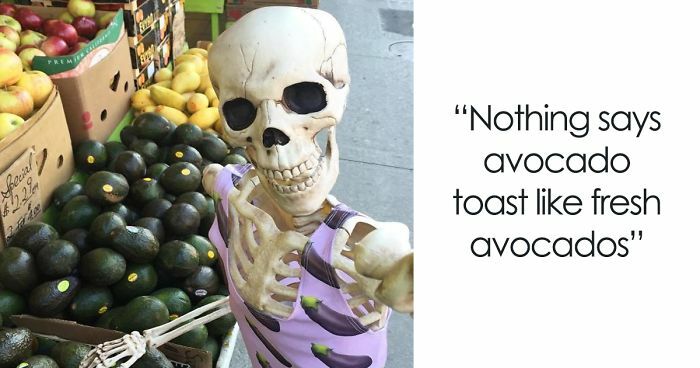 An actual skeleton hilariously mocks the same photos every girl shares on her Instagram feed, and that’s not all, her comments are also sooo #relatable. It’s not the first time the Instagram account omgliterallydead made us laugh, check our previous post about what it’s like to be the cutest and the most basic girl ever. So if you ever decide to create an Instagram account that sums up every single girly profile there is, make sure you take inspiration from Skellie, because when it comes to being basic, she’s got it all figured out.  Scroll down to see Skellie’s amazing Instagramming skills for yourself, and don’t forget to upvote your favorites! Jeeesh, can someone sort out what that tea does? Organic? Detox And Ethical cleanse? Do you crap out racism? I "don't" even! Um, isn't Paris, France the city of lights??? Omg the skeleton looks like an old lady!! Nothing is better than coffee! Nobody asked you anything, so all is good. Autumn seems to be good on you..
You mean "loose petal" chamomile? I find this exposure inappropriate. quality time means sitting on a bench scrolling through facebook. Puh- leeeze! Who doesn't draw on their own brows these days?! When you're hungover as f**k, but still need a selfie. Took a stealth-ie to show off these hot lumbersexual bartenders. Ugh, can you die from a candy hangover?! It's only Tuesday and I already can't even with this week. Double tap if you feel me. All hail the pizza queen. Free pizza for all! So excited to be covering #NYFW for @stylecaster today!! LOOK AT ALL THESE CLOTHES AND ITS NOT EVEN NOON! I like meat in my bones. Nothing says avocado toast like fresh avocados. The shirt is the best part of this shot. Lucky you.. you won't gain weight..
Beauty secret: organic papaya face mask and vegan gluten free cucumber slices! Use when you just can't with life anymore and need to feel extra fresh! Gloomy Monday playing some #acoustic #TaylorSwift. #ShakeItOff. How I'm surviving this morning's hangover. I'm imagining the plunger comes off and whack her boney face.... sorry. An ode to coffee is as cliché as you can get on Instagram, however, I am truly a supporter of the power of caffeine. Once, I tried to go coffee-free during an end of season sale and ended up buying a poly-blend sweater that I totally believed was cashmere. So take this as a cautionary tale. 'tis the season! Skinny Peppermint Mochas until Christmas for this girl!! LOOK! It's a snow corpse. #tbt to that time I ate all the veggie sushi in Toronto. I'm at Couchella. Where's Kendall? Can anybody be loving life more than me right now? Beach, pink umbrellas, and a magnum of wine. #latergram from yesterday! I love tobogganing!! Only wiped out a few times and my bones are a little sore this morning - pretty sure nothing is broken tho - totes worth it. Are you in kalamazoo by the sky rise?